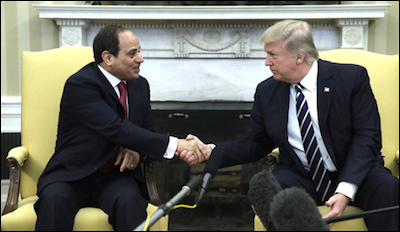 Egyptian President Abdel Fattah el-Sisi and U.S. President Donald Trump in the Oval Office on April 3, 2017. "Lacking a philosophical basis for his views and actions, Trump ... [is] notoriously difficult to predict." 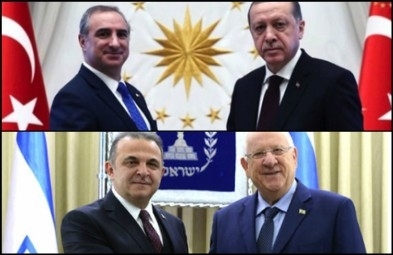 Turkey's President Recep Tayyip Erdoğan (top right) and Israel's President Rivlin (bottom right) with, respectively, the new Israeli and Turkish ambassadors In December 2016. Which national pair looks happier? 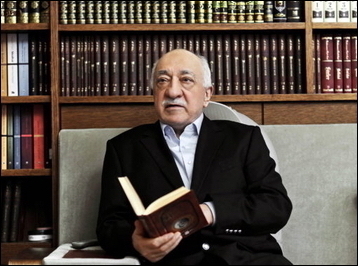 DP: The Turkish opposition calls it the "controlled" coup d'état in the sense that it "was foreseen, not prevented and benefited from" by Turkish President Recep Tayyip Erdoğan and the ruling AK party; I agree with this description, in part because the Turkish government has systematically resisted an independent inquiry into the coup.